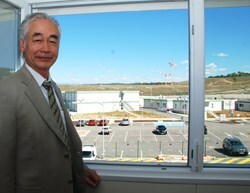 A room with an exceptional view: Osamu Motojima, Director-General of the ITER Organization. Six weeks have passed since I was appointed new Director-General of the ITER Organization. With the leadership of this project I have undertaken a huge responsibility, as the role of ITER is crucial in order to show that fusion energy is an achievable goal. And that is why the world is watching us closely as we proceed. And we proceed! With the approval of the ITER Baseline by the ITER Council at its extraordinary meeting held on 28 July 2010, the ITER Project took a big step forward and I want to take this opportunity to express my genuine gratitude to the Council Members and all the people involved in this terrific effort led by my predecessor Kaname Ikeda. The Baseline describes ITER all the way from the beginning of construction, through commissioning, and on to deuterium-tritium operation. The main milestones will be the achievement of First Plasma in November 2019 and the start of deuterium-tritium operation by March 2027 ultimately taking ITER to 500 MW of fusion power. Achieving these goals will require a strong team spirit and staff motivation. I am well aware of my charge as leader of this project and I know that it will be essential for its success to maintain the enthusiasm of the people that have joined together to build ITER. Following the Council's approval of a new management structure, this is currently being put in place. In order to best fit to the developments in the project, changes are being made in the main management structure, while maintaining continuity and momentum. "Simplicity" is the key word. Simplicity in the management structure will also contribute towards containing the entire project cost. In response to the request of the ITER Council, we have launched several initiatives to explore possible measures for cost savings and cost containment throughout the project aiming at a reduction of approximately 10 percent of the total cost. A special task force and a working group have been set up to develop proposals for submission to the ITER Council in autumn. Talking about simplifying certain processes within our Organization, I am also looking into means to introduce a more efficient way of working together. 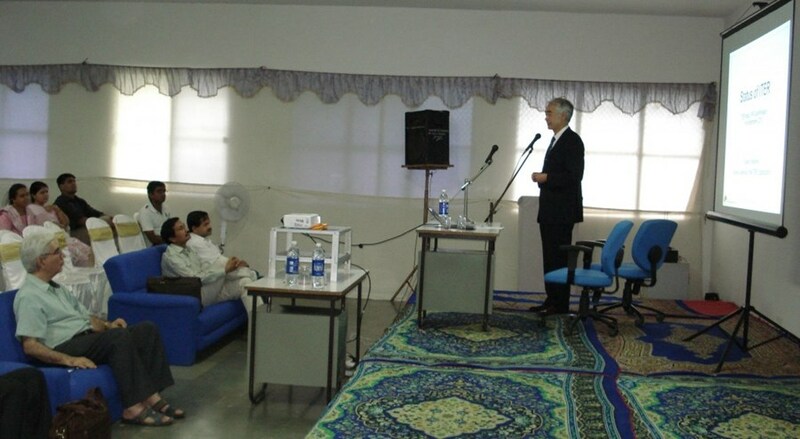 In order to intensify the relationship with the Domestic Agencies, the ITER Director-General started his mission with a trip to the Indian Agency based in Gujarat, where he addressed the staff. ITER Organization and the Domestic Agencies. One of the issues that we will have to discuss with our Domestic Agencies is the staffing procedure. In order to get the best people on board, we have to improve the selection process and, very importantly, we also have to better balance the distribution of staff coming from the seven Members. Furthermore it is my wish to intensify the relationship with the governments of the ITER Members and so over the past two weeks I began a series of meetings with visits to Brussels and India. In the second half of September I am going to visit the US Domestic Agency in Oak Ridge and I will meet representatives from the Department of Energy in Washington, before I continue this initiative with visits to Russia, Korea, Japan and China in October. As I am writing these words, I am very pleased to see from my office window that ITER is physically taking shape. The construction works for the Poloidal Field Coils Winding Facility and the excavation on the platform started last month and the picture is about to change rapidly. Seeing ITER becoming reality, after all these years of planning and designing, is a landmark event in the history of fusion research.